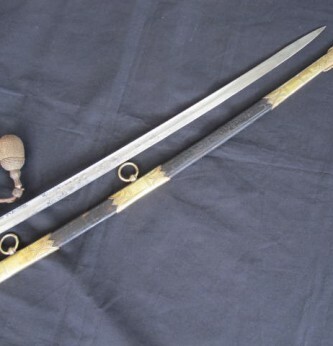 Excellent example of Imperial German Naval Commanders deluxe sword. 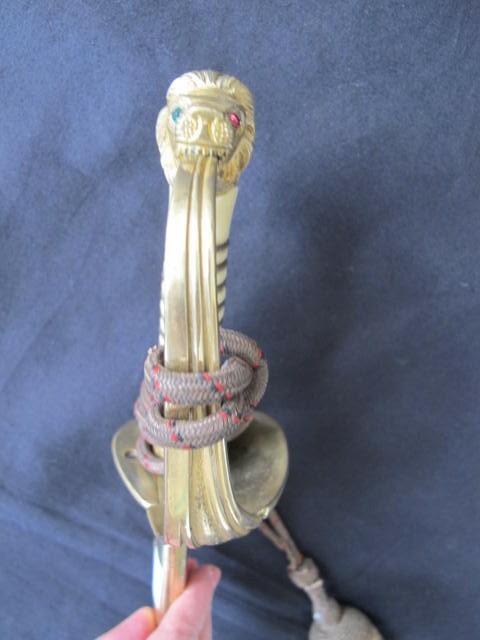 Gilt brass folding guard with Imperial crown and anchor emblem. 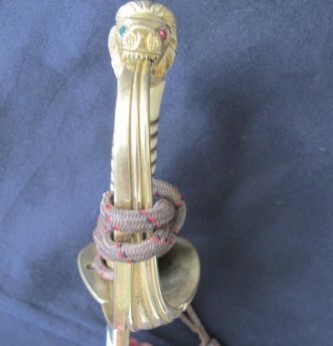 Lion head with port and starboard glass eyes. 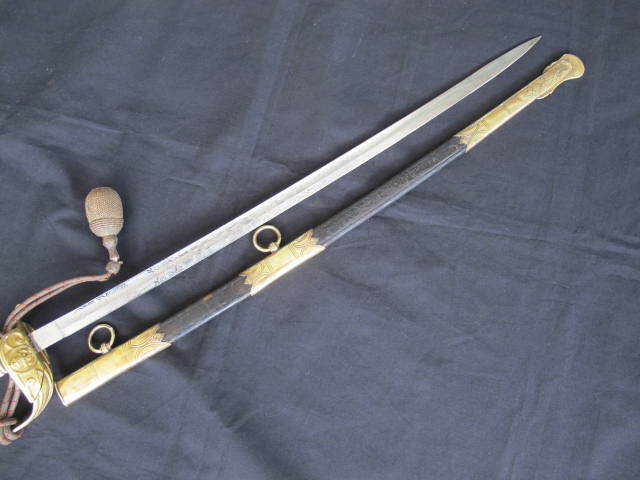 Excellent ivorine grip with wire binding. 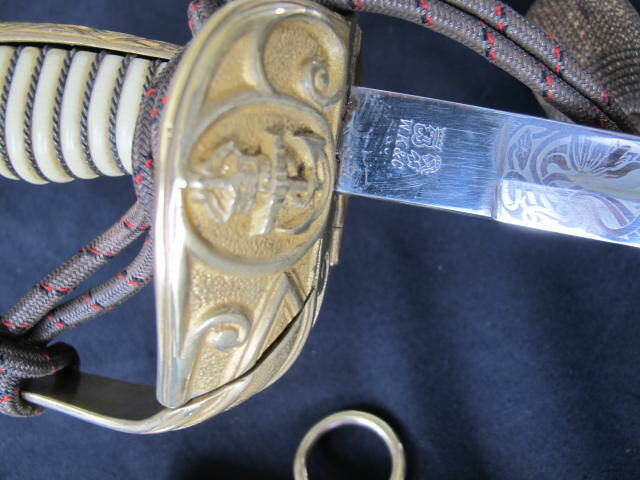 Complete with correct pattern scarce sword knot. 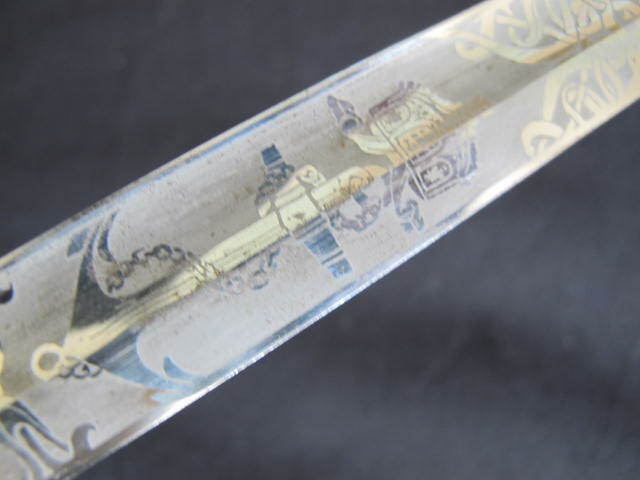 Engraved blade by WKC. 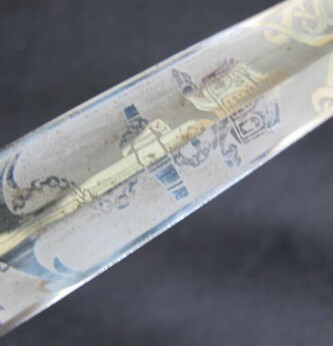 Fully engraved with oak leaves, Imperial anchor and crown, battleships etc. 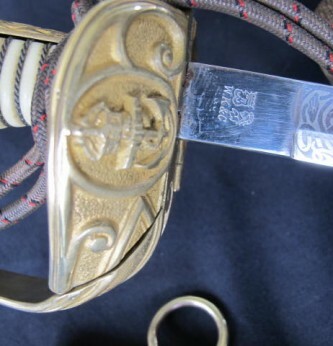 Blade retains nearly all its original polish with clear engraving. 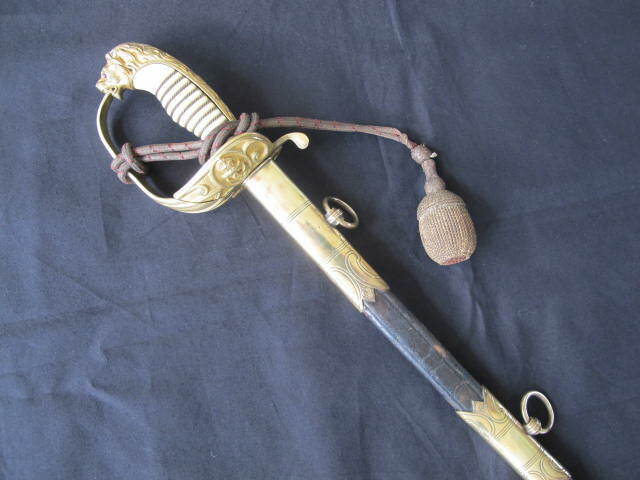 Complete in its correct pattern brass and leather mounted scabbard. 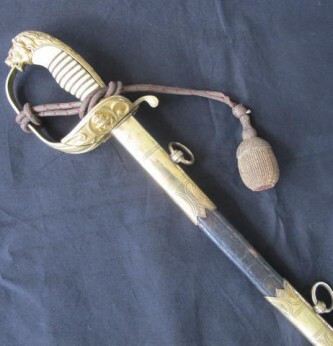 An excellent example of this scarce and desirable Commanders sword of WWI.